The UK is braced for yet another stormy week of debate in parliament, with less than a fortnight remaining before the March 29 deadline for Brexit. Prime Minister Theresa May's favoured deal could be tabled again in parliament this week, but Finance Minister Philip Hammond admitted his government did not yet have the support of enough MPs to win such a vote. 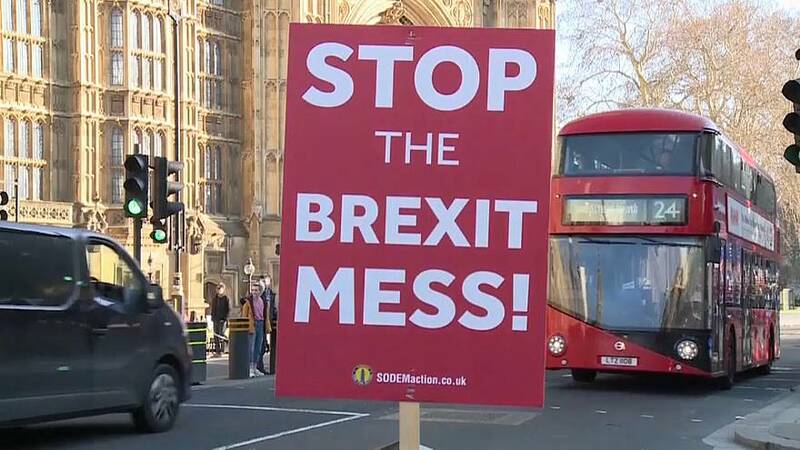 The previous attempt last Tuesday, the second since May concluded her withdrawal agreement with the EU, was rejected by a margin of 149 votes. Hammond told the BBC's Andrew Marr Show that many MPs had since changed their minds. He said: "What has happened since last Tuesday is that a significant number of colleagues, including some very prominent ones who have gone public, have changed their view on this and have decided that the alternatives are so unpalatable to them that they on reflection think the Prime Minister's deal is the best way to deliver Brexit." But Britain's opposition leader Jeremy Corbyn said he believed this third attempt to pass the deal would also fail — and that a vote of confidence in Theresa May's leadership would follow. "The government is apparently going to bring its proposals once again to parliament this week. I suspect they'll be defeated again," he told Sky News on Sunday. "I think at that point a confidence motion would be appropriate. At that point we should say there has to be a general election, so the people of this country can decide." Negotiations were held this weekend to persuade members of both the Democratic Unionist Party in Northern Ireland and May's Conservatives to support the agreement before Thursday's meeting of European leaders in Brussels. But despite time running short, British government ministers would still not confirm if the vote would definitely go ahead. What's in the Brexit deal - and why is it so unpopular? Is there a way to break the Brexit deadlock? Former European Commission president,Prodi, on Brexit "It's a mess"